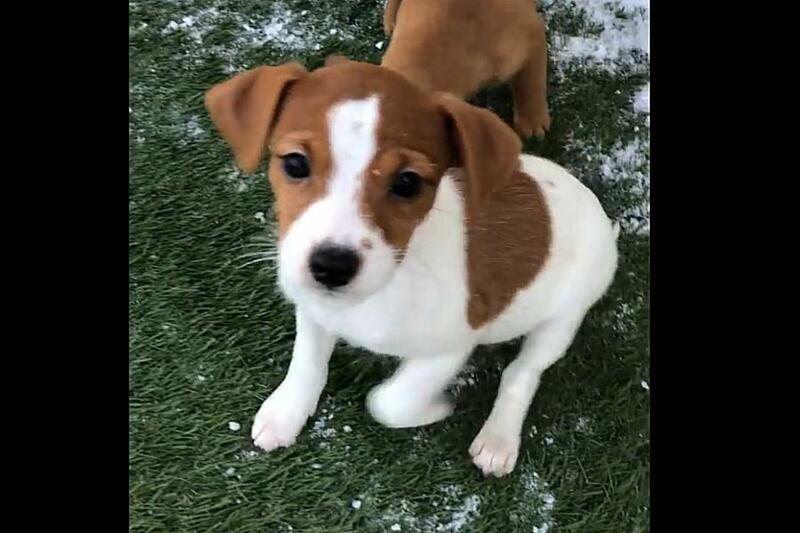 The Humane Society of Kawartha Lakes in Lindsay has nine Jack Russell/Chihuahua puppies looking for their forever homes. There are only two puppies of the original nine left for adoption! However, there are still many adult dogs who need their forever homes too. Actually, there are now eight puppies available — one already found its forever home within hours of the society posting a video on its Facebook page earlier today (January 21). According to the Facebook post, the society has 32 dogs (now 31) that were rescued from a home that had 58 puppies and adult dogs. All the rescued dogs were skinny and malnourished. The dogs include Jack Russells, Chihuahuas, Terriers, and Boxer mixes ranging in sizes and ages. The adoption fee is $400 for a puppy, and $325 for an adult dog. The adoption fee includes spaying/neutering, micro-chipping, and vaccinations. If you are interested in adopting one of the dogs, call 705-878-4618 and ask to speak to Animal Care, or visit the shelter at 107 McLaughlin Road in Lindsay in person. The shelter is open from 12 to 4 p.m. on Mondays, Tuesdays, and Fridays, 12 to 7 p.m. on Thursdays, 11 a.m. to 3 p.m. on Saturdays, and 12 to 3 p.m. on Sundays. The shelter is open on Wednesdays by appointment only. For more information about the Humane Society of Kawartha Lakes, visit hskl.ca. Local, regional, national, and international news headlines. Award-winning East Coast musician in concert with his trio at Market Hall Performing Arts Centre in downtown Peterborough.